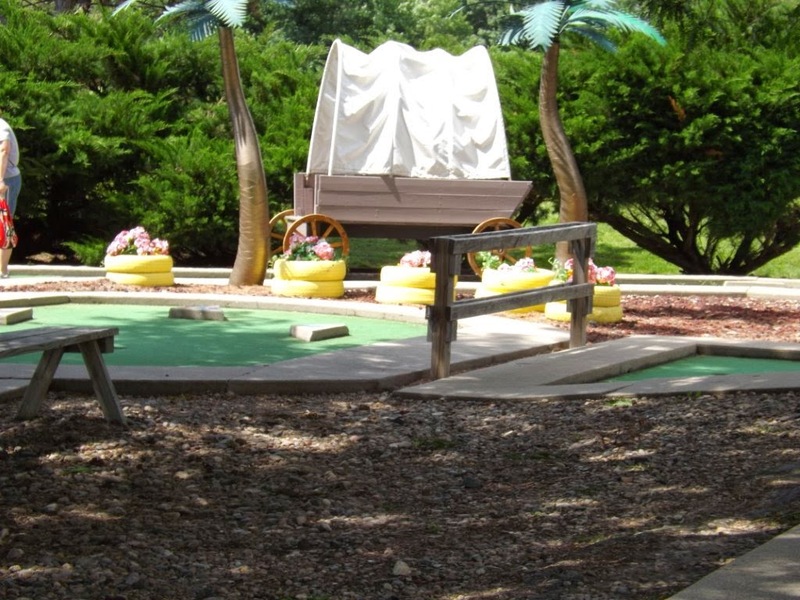 Are you looking for family fun in Omaha? I know I always am looking for something to do with the kids. Nestled in Papillion, is a little place we had to try. What do they have? Go Karts, Water Wars, Lazer Tag, Miniature Golf the USA, Batting Cages, Arcade, and (Trampoline fun) Jumpshot, and Spaceball. All that equals to hours of family fun. Most of it you can get unlimited by purchasing wrist bands that are on sale for $12 right now. They are having a great BOGO free deal here. Last week we ventured out for some fun. We decided Papio why? My son and nephew can not get enough of the place. 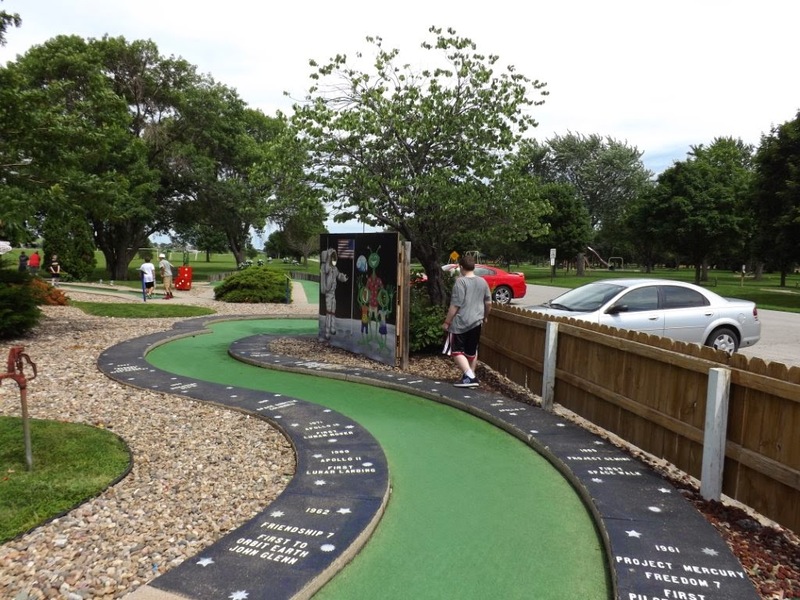 My nephew favorite thing is the Miniature Golf, My sons favorite things are the Go Karts and Lazer Tag. We always start with Golf. 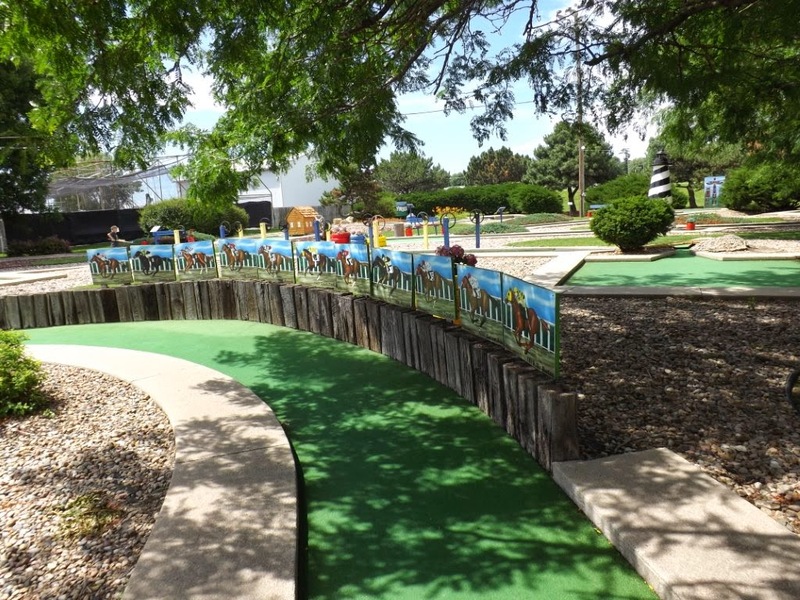 The Golf course is very cute and it is challenging. My nephew is very competitive and likes to win. What excites them the most about it? I think it is the fact if we get a hole in one you get a free tootsie roll. We usually play around 4 rounds of golf until we have to leave. Timmy (my son) tends to not like the golf as much but loves the Lazer Tag. Go Kartz is amazing! The course is huge and fun! The only thing is my son is afraid to let anyone pass him because he has been bumped quite a bit. Other than that is a extremely fun and fast! 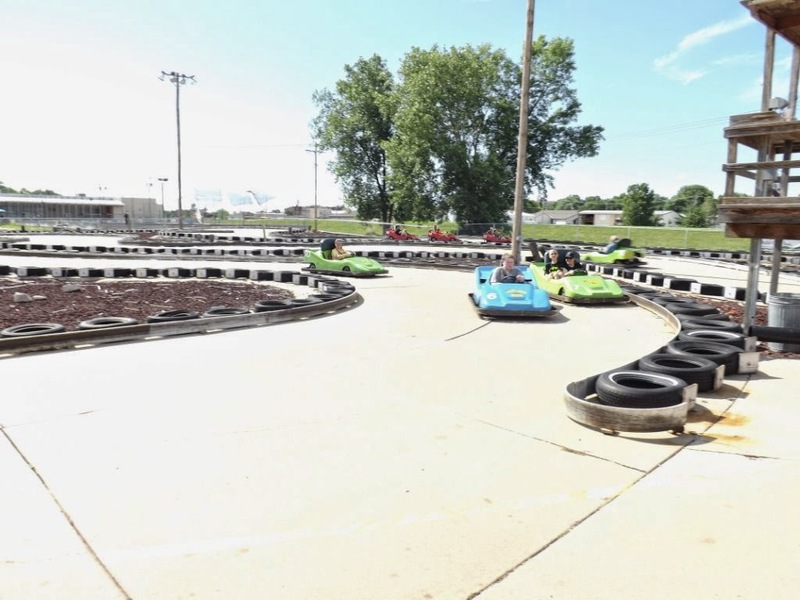 The kids get longer on the track than I think any other Go Carts I have ever seen. So then, What next? The kids played Spaceball. Spaceball is a fun trampoline area where two kids are sectioned off and battle for points. The kids love jumping on the trampolines and do not even keep score. It's so cute I wanted to join. The arcade of course is separate from the bands but it is lots of fun. Earn tickets for toys or other fun prizes. The games are average priced and adds even more fun to the place. We love the pool tables in the arcade. They are so much fun. 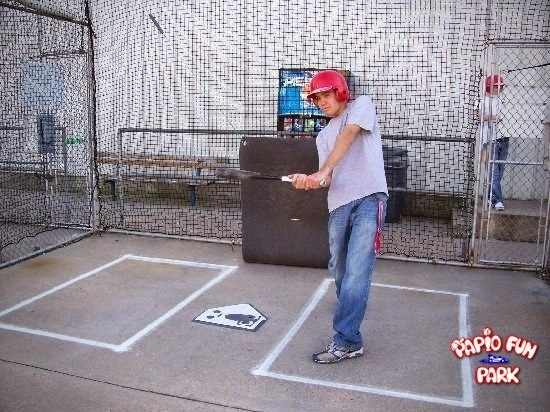 Another fast paced fun area is the Batting Cages. This too is separate from the bands but does not cost much. You pay by minutes. They have several batting cage rooms and the kids love it. Food and drink. Yes, they have that too. I love the little drink containers you can buy and bring back every time for unlimited pop refills. They have a good variety of foods to satisfy your and your kids hunger. 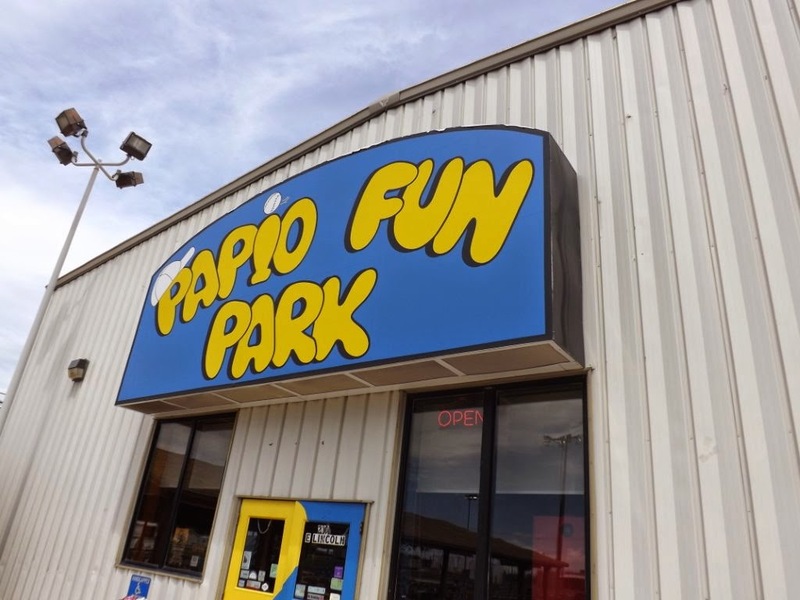 Lastly, I really would like to thank Papio Fun Park and USFamilyguide for providing us with this fun filled day! Thank you! Want to check it out? Click Here! 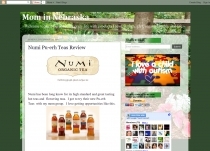 ~~ I received tickets in exchange for an honest review. I am in no way motivated to be positive and receive no monetary compensation.